While you may have seen your income creep up a bit recently, it's probably a pretty safe bet your savings haven't kept pace. According to a survey that accompanied Bankrate.com's Financial Security Index for June, just 22% of those asked said they had enough to pay for at least 6 months of expenses, which is generally considered by personal finance experts to be the amount needed for a satisfactory cushion. Shockingly, 29% reported no savings -- the highest level in 5 years of surveying and up 3% from last year. Another 21% said they had some savings but not enough to cover 3 months of expenses, and 13% didn't know how much they had or didn't want to answer. Yet incredibly, despite this lack of emergency savings, consumers say they are feeling good about their overall financial health. "These results are further evidence that Americans remain woefully under-saved for unplanned expenses," says Greg McBride, CFA, Bankrate's chief financial analyst. "And rather than progressing, (Americans) are moving in the wrong direction. The index results come as consumers' capacity to save appears to be improving. The economy last month added 280,000 jobs -- much more than expected -- and wages climbed 2.3% from April 2014 to April 2015, according to the federal government. Those 50 or older are more likely than their younger counterparts to have amassed enough savings to cover 6 months of expenses or more. McBride notes that's because they've had more time to save up. However, those under 30 are actively saving; they were the most likely to have enough to cover 3-to-5 months of expenses. Not surprisingly, income level is a great predictor of emergency savings. Fifty-three percent of those making less than $30,000 a year had no emergency savings. That's nearly twice as much as the $30,000-$49,999 group; more than 3 times as much as the $50,000-$74,999 group; and more than 4 times as much as the $75,000-plus group. Emergency savings also increases with more education. College grads are more than twice as likely to have 6 months or more in expenses built up than those with a high school degree or less. The latter are more than 4 times as likely to have no savings as those who graduated from college. 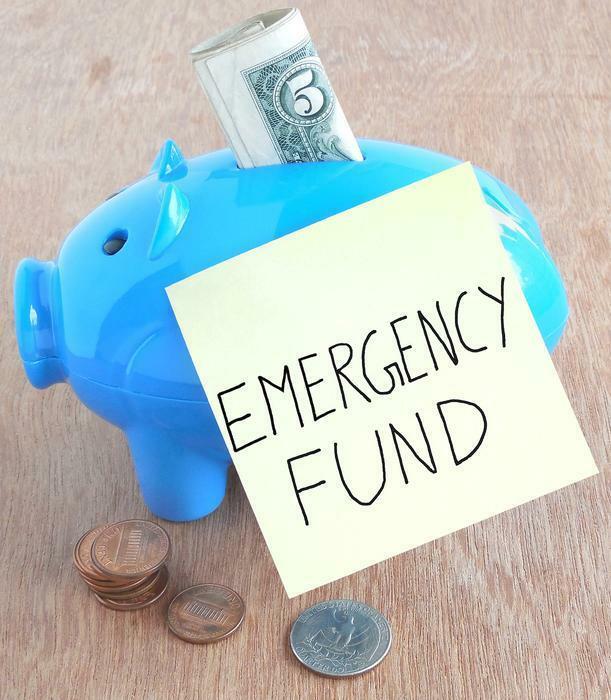 If you need to bulk up your emergency savings, start with incremental goals, says Bruce McClary, spokesman for the National Foundation of Credit Counseling. Track your spending and find where you can reallocate money toward savings. Celebrate small victories, he says, and be ready for occasional setbacks. "I think a lot of people are intimidated by the enormity of the amount when starting from scratch," he says. "They think: 'That's too big of a mountain to climb,' and that can be demotivating." Have your employer deposit a small amount each pay period into a savings account, says Peter D'Arruda, president of Capital Financial Advisory Group in Apex, North Carolina. "It needs to be a savings account and not a checking account because checking is too easy to take money out of," he says. "We have a real hard time identifying a 'want' from a 'need,' and the extra time it takes to get money from savings will make us think twice." Bankrate's survey was conducted by Princeton Survey Research Associates International from June 4 to 7. It included 1,000 adults living in the continental U.S. and has a margin of error of plus or minus 3.7%.